It's what's on the inside (and what's delicious) that counts. Ugly Fruits and Vegetables is much more than just an entertaining Instagram account. It’s a call to action. The misshapen produce featured in each photo needs your help! About one third of the food humans produce globally gets thrown out, often because it doesn’t meet the cosmetic standards people have come to expect from food labels. This is not good for planet Earth. Basically, we have two options: eat odd-looking produce, which contains the same nutritional value as normal-looking produce, or throw it out, where it will end up in a landfill, release methane gas upon decomposition and contribute to global warming – which is very unhealthy for all of life on Earth. So don’t be shallow when it comes to picking produce. Looking different doesn’t mean lesser value. It may appear “ugly” on the outside, but inside it's not only beautiful, but packed with nutrients that make people healthier. Here are 13 ugly fruits and vegetables that deserve a place in your kitchen, and in your stomach. Thumbs up for eggplant! This vegetable is high in fiber, vitamin B1 and copper. It’s also a good source of manganese, vitamin B6, niacin, potassium, folate, and vitamin K, which means it protects brain cell membranes and is great for cardiovascular health. Eggplant is a Global Vegetable Citizen. It’s incredibly versatile, used in recipes ranging from Italian to Asian. As a meat substitute, it also helps to reduce greenhouse gas emissions. Originating in China before being brought to Africa and Italy, eggplants can range in colors like lavender, jade green, orange, and yellow-white. Don’t walk, run to the supermarket for a daikon. This member of the radish family has a wide range of health benefits. It eliminates bacteria and other pathogens, making it great for respiratory issues. High levels of vitamin C stimulate white blood cell production, which helps the immune system, and high levels of calcium are good for bones. Daikon oil can keep skin healthy, and daikon juice is good for the digestive system and helps prevent cancer. Remember: whether you pickle them, roast them, or add them in a soup, use the whole vegetable – daikon leaves are just as nutritious as the root. The largest tree fruit in the world has been dubbed a “miracle crop” that can save millions from starvation. Jackfruit is full of nutrients like protein, potassium, and vitamin B and its perennial trees require less maintenance than staple crops like wheat, rice and corn. Originating in India, jackfruit has spread to central Africa and South America. Because it thrives in tropical climates, millions could come to rely on jackfruit as global temperatures continue to rise. If veganism can truly save the world, jackfruit may be the key. Many innovative recipes call for jackfruit as a replacement in fish tacos, crab rangoon, and tuna melts. And for BBQ aficionados, jackfruit can even replace pulled pork. Miracle fruit, indeed. This guy wants you to know: peppers keep the body strong. Bell peppers are high in fiber, which does wonders for the digestive system. But they do much more than make it easier to poop. Bell peppers are a great source of vitamins C and E, which make the body better at healing and keep skin, teeth, gums, and blood vessels in tip-top shape. They also contain antioxidants and zeaxanthin, which helps eyesight. Cooking with bell peppers is limited only by the imagination. They can be diced up, sautéed, and mixed in with eggs, fajitas or pastas; or stuffed with a million different things. They’re also delicious served raw with dressing. Ok, this one straight-up looks like an alien. But don’t let that stop you from enjoying the health benefits of turmeric. The spice has been around for thousands of years and improves health thanks to a chemical called curcumin. Turmeric helps reduce the risk of cancer and improves cognitive function. And because it balances blood sugar, turmeric can help prevent type 2 diabetes. It also improves kidney function. This uber-healthy spice is typically used in curry and rice dishes, but can also be used to make lattes and smoothies. Oranges are widely known for having significant levels of vitamin C, but kiwis actually have a lot more – five times more. Kiwis are rich in vitamin K, which helps blood clot and vitamin A, which is good for skin, bones and teeth. They also reduce heart disease, can help with respiratory problems like asthma, and are one of the best sources of antioxidants. Kiwis are also great for maternal health. Vitamin B6 strengthens the immune system and keeps fetuses healthy, while folate prevents birth defects. Copper helps brain development and bone growth in children. From omelettes to shortcake, the two varieties of kiwis (green and gold) can be used at every meal. Jalapeño peppers pack a spicy punch. Though small, especially compared to many of the other fruits and veggies on this list, one jalapeño provides about 27% of the daily value of vitamin C. In spite of the tears that may flow from eating one, they’re actually good for the eyes. Jalapeños contain lutein and zeaxanthin which protect against harmful wavelengths of light and prevent cataracts. Full of both heat and flavor, jalapeños can be used in countless concoctions, like sandwich spreads, salsa, cocktails, as well as chicken and pasta dishes. When Your Potato Reminds You Of Star Wars!!! Pic by @Baking_Bigfoot #ItsATrap! No, this is not a trap – potatoes are super nutritious. A single potato contains 18% of the recommended daily value of potassium – more than a banana – which helps lower blood pressure. Potatoes are also rich in vitamin C, fiber, vitamin B6, and iron. The world’s fourth largest food crop, potatoes were first grown by the Incas in Peru and brought to Europe by the Spanish Conquistadors, and spread throughout the continent. There are currently seven main types of potato, which can be used to make dishes in styles from every continent. Pattypan squash originates from Mexico and Guatemala. It contains no saturated fats or cholesterol. What it does have is potassium and magnesium, which means it’s great for heart health. It’s also high in folate, crucial for cell division, which can improve maternal health. Virtually no part of the vegetable goes to waste. Its peel is an excellent source of fiber, and its flowers can be turned into a side dish. As for a main course, pattypan squash can be sautéed and mixed with other veggies, or stuffed like a pepper. Strawberries are among the most popular fruits on the planet, but there’s always room for more love – and there’s plenty of reason for it. Packed with vitamin C and manganese, strawberries reduce the risk of cancer and cardiovascular disease. They’re also high in antioxidants, which act as an anti-inflammatory. 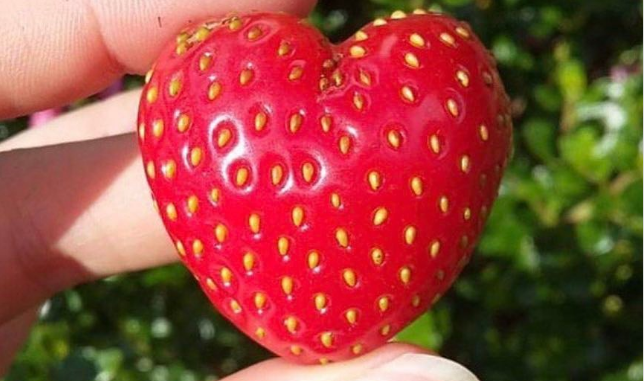 Strawberries are one fruit that it pays to buy organic. The fruit was one of the most common foods containing illegal levels of pesticide residue, according to the US Department of Agriculture. After avoiding those harmful chemicals, add strawberries to soups, salads, pork dishes, or an infinite number of desserts. Pineapples are America’s second-favorite tropical fruit behind bananas. Like many other fruits and veggies on this list, pineapples are excellent sources of vitamin C, manganese and vitamin B1, which contribute to healing, bone strength, and energy production. But what sets pineapple apart is an enzyme called bromelain, which can help with digestion, reduce inflammation and reduce certain types of tumor growth. Studies have shown that eating three portions of fruit everyday can help maintain eyesight. The pineapple's versatility makes this dietary requirement totally possible. These prickly fruits are delicious with burgers, salsa, guacamole, chicken, pizza – the list goes on. Carrots are one of the most widely-used vegetables in the world. They’re easy to grow, and can be enjoyed raw, as a side dish, or prepared as a main course. But they’re not just a great snack. Carrots reduce cholesterol, which means they prevent heart disease, the leading cause of death in the United States. Rich in potassium, carrots help reduce blood pressure. Full of vitamin C, they help stimulate white blood cell activity which means they’re great for the immune system and cardiovascular health. And they’re great with ranch dressing. Cucumbers are 95% water, but what’s left is incredibly beneficial to humans, as they reduce the risk of cardiovascular disease and many types of cancer. Even if your appetite isn’t big enough to eat that gargantuan cucumber pictured above, the vegetable has a ton of cosmetic purposes (think: cucumbers on the eyes at every spa). Cucumbers revitalize skin and cucumber extracts have anti-oxidant and anti-inflammatory properties. If you are going to eat them, though, do so in a variety of salads, tzatziki, or lemonade.